George Schuch of the 183rd Ohio Volunteer Infantry Co E was at Franklin. 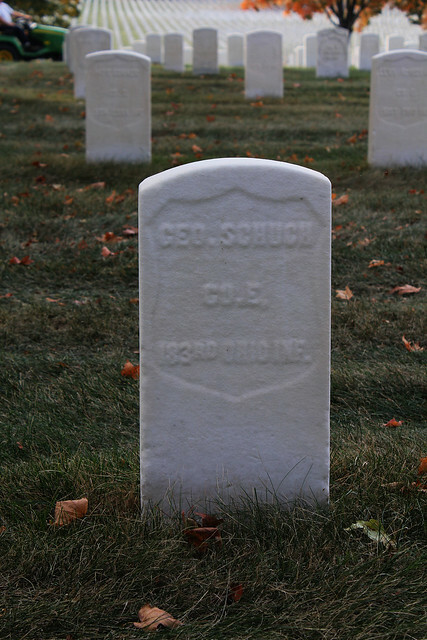 George Schuch(k) Spelled Schuck in most records Schuch on his gravestone and his family went by Schuch. 10th OVI I Co Sgt transfered to 10th OVI D Co as a Pvt Enlisted in 174th OVI then the unit was combined with 183rd OVI E Co First Sgt then reduced to Sgt after one month. 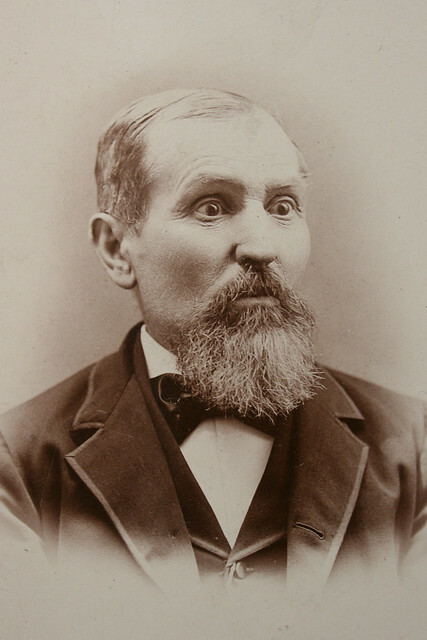 George Schuch was born in Germany in 1827. Moved to Cincinnati, Oh. 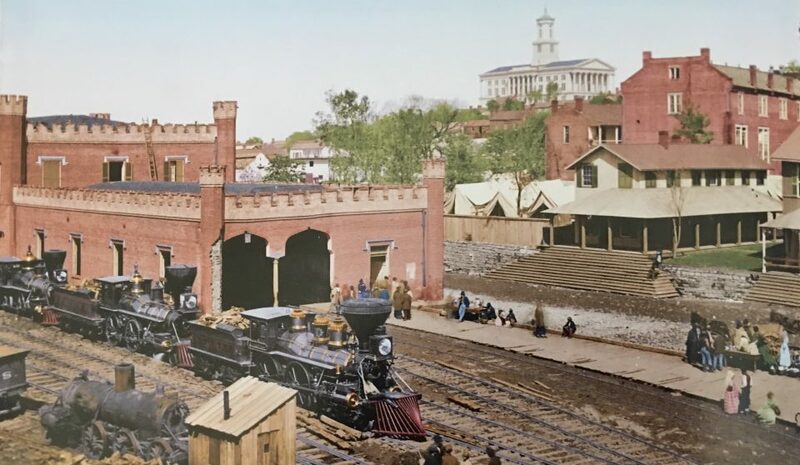 Enlisted in the 10th OVI (3 month) June 1861 and then 10th OVI ( 3 year) Fought in W. Va and then returned to Cincinnati in Dec 1861 Went AWOL and was later Declared a deserter. He returned to the Unit in May 1863 and forfeited all pay and allowances. He fought in the Tennessee campaign. May 1864 Placed in stockade awaiting General Court Martial by his Commander. Charges unknown. He was acquitted of the charges but the stockade did not get the paperwork and he was held in jail for six weeks until he wrote the Judge Advocate asking to be told why he was being held. The Captain found he was acquitted and ordered his release to be sent home to be Mustered out as his enlistment had expired. He enlisted again in the 174th OVI in Sept 1864 the 174th was combined into the 183rd OVI in Oct 1864 and he was appointed First Sergeant then one month later he was replaced as First Sergeant and reduced to Sergeant. He fought in the Spring Valley-Franklin-Nashville battles and later joined Sherman in the Carolina’s till the end of the war. He Mustered out in July 1865. He returned to Cincinnati, Oh . 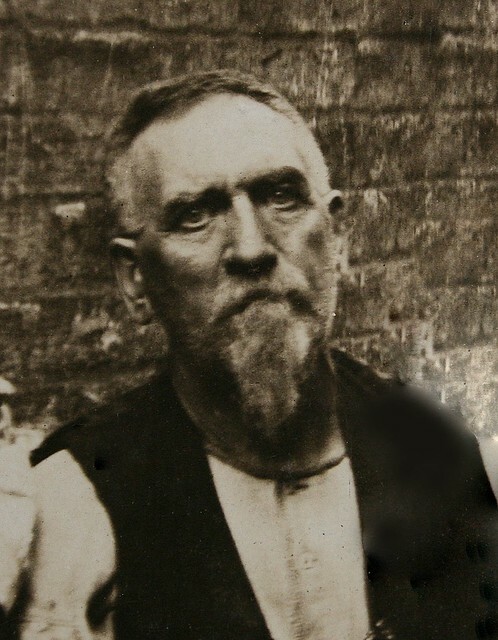 He was admitted into the National Home for Disabled Volunteer Soldiers in Dayton Ohio in 1880 and received a pension of $10 a month in 1897 later increased to $12 a month for rheumatism and heart problems. He died in the National Home and was buried in the Military Cemetery at the home in Dayton Ohio.